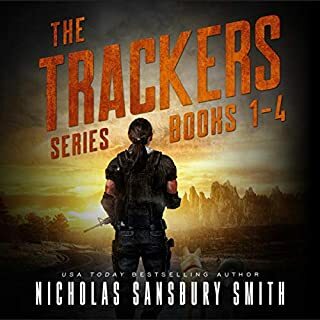 When massive solar flares wipe out the technological infrastructure and kills billions, Rachel Wheeler sets out across the Appalachian Mountain wilderness in search of her notorious grandfather's survival compound. Rachel is separated from her traveling companions and is captured by Zapheads, violent mutants who are gathering in packs and collecting dead bodies while mimicking human behaviors. Then she undergoes startling changes herself, as her friends are hunted by a rogue military platoon that wants to impose its own law and order in the world of After. Look for the other After books, First Light the Shock, The Echo, Whiteout, Red Scare, and Dying Light. Also look for the spinoff series Zapheads and Next. 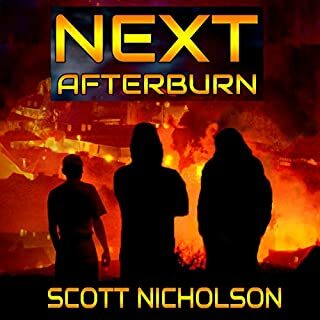 Scott Nicholson is the international best-selling author of more than 20 thrillers, including The Red Church, Liquid Fear, Speed Dating with the Dead, Mcfall, and the SOLOM series. His website is AuthorScottNicholson.com. 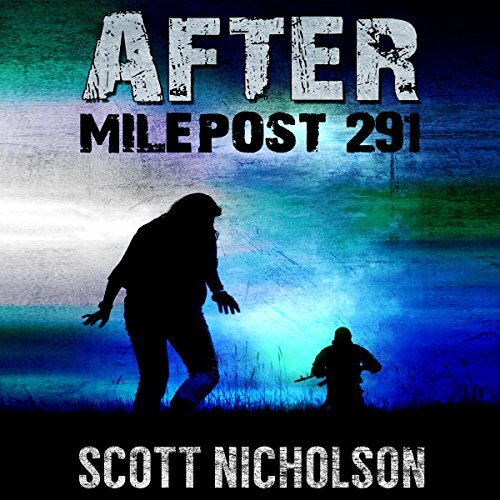 What did you love best about After: Milepost 291? I like that it is getting more complex...and as always in a post apocalyptic world it is the other survivors you have to fear! Rachel because she is a survivor and Devontrey because he was really brave! What about Kevin Clay’s performance did you like? ** I was given a free copy of this book in exchange for an honest review **Rachel is on trouble, she has been hurt, she has lost her traveling companions, and is dying from an infection in her leg...she is found at the last minute by some old acquaintances...and ends up at the zaphead house! She is so sick by now she doesn't realize where she is really at...and a miracle happens..she is saved...but there is a price to pay! In the meantime Devontrey comes across some not so nice survivors and finds Steven...but they are in a very dangerous situation... They eventually find Rachel..but she is different...will she ever be the same again? GOOD STORY!! I NEED TO GO ON TO THE NEXT ONE ASAP!!! I love this series. It took a bit to get into because I'm a walking dead fan, but that has nothing to do with these books they take you to a whole different place and that's great. I listened to them back to back now I'm sad it is over. I can not wait to listen to the rest when they become available. The narrator is now my favorite he does a great job. I'm going to look into more of his books. I received these books for my unbiased opinion and that's what I gave. Rachel finally reunites with her friends and is getting close to reaching milepost 291. Will her grandfather accept her like this? What is she now? Can't wait for the next book! Dante is my favorite character because he always seems to squeak out of trouble. What does Kevin Clay bring to the story that you wouldn’t experience if you just read the book? Kevin does a Super job bringing all the characters to life. There was a moment in the book that really made me angry. I am not going to give it away, you will just have to order the book. Once you get to a particular section you will instantly know why it made me angry. I really liked this book. I'm not normally a reader of zombie books, but I've liked this series so far. 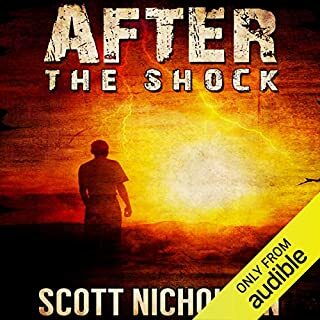 Nicholson keeps it interesting with a kind of twist on the average zombie book, and has interesting characters and plot. I've come to care about the characters, and was bummed about "Rachel's" situation. This saga has kept me intrigued and engaged, and I can't wait to see what happens next. 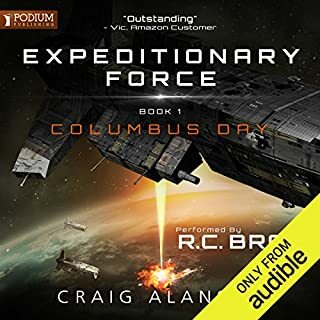 I listened to the Audible version of this book and have enjoyed the narration by Kevin Clay. His reading sounds effortless and comfortable, and he gives a unique voice to each character. 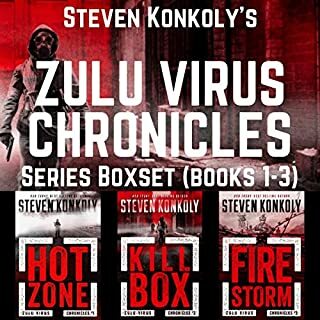 Overall, if you like zombie books, I would highly suggest this series, and even if you don't tend toward zombie fiction, don't write off this book - give a shot - you might be surprised that you like it.